In the digital age, it has become the norm to take photographs using electronic devices. Devices that allow us to share our media instantly with friends and family. We also have the option of uploading our videos and pictures to the cloud for safe keeping or for the world to see via social media. Long gone are the days of shooting on film and then taking the film reel to be developed. Today it is all about the convenience of being able to do edit, enjoy and share memories and moments as soon as they have occurred. Having said that, there is something truly novel about taking a photograph and printing out a hard copy to keep. The effect is similar to receiving ‘snail mail’ in the post versus electronic mail on your phone. There is something wonderful about being able to hold your media in a tangible way. The issue is that, even today, having photographs printed is a time consuming process that can only be done at photographic stores or, if you have the equipment, at home. Of course, there is the Fujifilm Instax camera, which is able to ‘instantly’ produce a single copy of one moment in time, whilst on the move. As great as the Instax is, especially from a perspective of nostalgia and novelty, the downside is that once that moment is captured, it cannot be replicated. Not unless you physically take the time to scan the resulting photograph, which is what I often end up doing. Therefore, as much as I enjoy using my Instax, and I really do, I feel far more comfortable capturing my memories electronically. 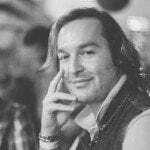 This is because I know that when a photo is taken digitally, the memory it captures has been instantly backed up to the cloud for safe keeping and easy future retrieval. It is why I have, for some time, wished that the Intax was also partly digital, or that there could be some product that could satisfy my want for portable novelty on the go without sacrificing the convenience of digital media. Thankfully, HP heard my call and this is where their brand new HP Sprocket (R1999/US $129.99/‎£99.00) comes in: offering the novelty of an Instax with the convenience of digital photography. 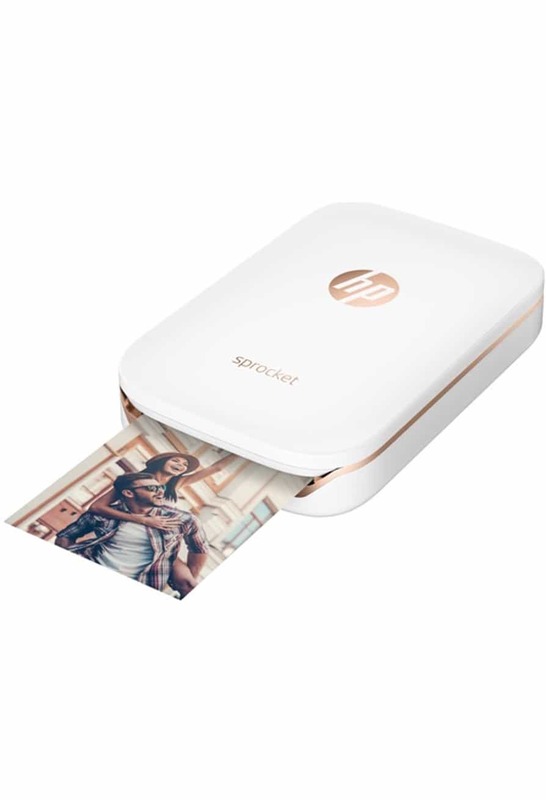 The HP Sprocket is a tiny pocket sized printer that is able to print any photo that has been taken digitally via a compatible iOS or Android device. 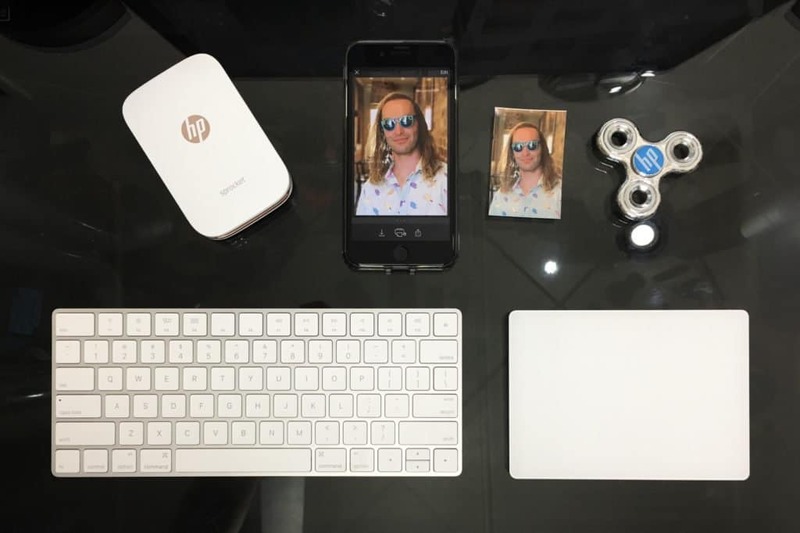 Compatible devices connect to the Sprocket by means of the HP Sprocket app and Bluetooth. It can also easily be paired via Near Field Communications (NFC). The device itself measures 11.5 cm x 7.5 cm x 2.4 cm and comes in black (with silver trimmings), white (with rose gold trimmings) and red (with silver trimmings – this colour is only available in select markets). The device has a lovely smooth, glossy and pebble like finish with a simple HP logo and the device’s name on the top, with the HP Sprocket web address on the bottom. The decals are also in the same colour as the aforementioned trimmings, lending the Sprocket a very high-end and classy look. At first impulse, I decided to purchase a black unit (actually the red, but that colour option is not yet available in South Africa). However, after a modicum of rational thought, the white Sprocket eventually won me over. Given that the paint finish is glossy, it means that the white colour shows fingerprints less and is less susceptible to showing scratches. This is definitely something to consider given that the device is portable and meant to be carried around. Although the outside of the Sprocket is made entirely of plastic, I am happy to report that the quality feels and looks good, much like an Apple product. The device also feels solid in the hand/pocket and has a good weight to it – roughly 175 grams. In terms of openings and ports, there is a single Micro USB slot on the back that is used for charging and one wide main opening on the front where the printed photographs emerge. Refills are loaded by means of easily slipping off the top cover and simply dropping the SmartSheets in (blue side down). The power button is on the rear left of the device; it is easy to find and press. There are also two LEDs on the back of the device: one to show that the unit is being charged and the other to indicate whether the unit is on or off. The device also has a built in rechargeable 500 mAh Li-Polymer battery – so it can be used whilst on the move. Once the device has been loaded with 5 x 7.6 cm SmartSheets, it “prints” the desired photographs using ZINK (Zero ink) technology. Each ZINK SmartSheet contains tiny layers of crystals that are activated via pulses of micro focused heat. Yes, it is exactly as cool as it sounds, but it does come at a cost. Each pack of 20 HP Sprocket compatible ZINK SmartSheets retails for R199/US $9.99 /£8.00. Although the pricing is similar to refills for the Instax, they are far more durable. What makes using these ZINK SmartSheets really special is how each printed sheet is smudge proof, water resistant, difficult to tear and also has an adhesive back. I tested each of these claims and I am quite surprised to report that these ZINK SmartSheets are as durable as they are advertised as being (only exception was the tearing, but that applied only to the adhesive covering and not the actual photograph). In addition to being close to ‘toddler proof’, the adhesive backing means that these SmartSheets can also be used as stickers! It makes the simple ink based photos from an Instax appear absurdly ancient. It also means that the printed photos may be used as more than simple keep sakes, being limited only to the imagination. For example, Diona is currently taking part in a ‘Study Abroad’ program as a part of her degree. 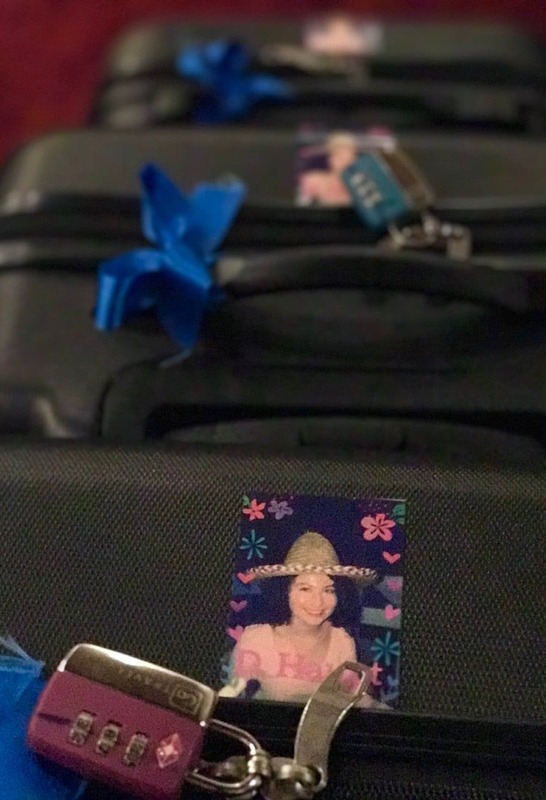 To help her identify her bags on the luggage carousels as she travels, I printed out and stuck unique photo markers on her bags. She absolutely loved them. Creating interesting ‘stickers’ is also very easy with the HP Sprocket app, but more on that later. In terms of portability, the HP Sprocket is perfectly pocket sized. I have been able to slip it in and out of a variety of pants and jacket pockets without any issue. Given that it also has a built in battery, the device has clearly been made for ‘people on the go’. With this in mind, and although made entirely of plastic, the device does seem to be quite resilient. Despite travelling almost everywhere with me for nearly two weeks, for the purpose of this review, the device still looks as good as new [I must mention that I am quite careful with my devices in general, so your milage may vary]. When it comes to printing, there are two main aspects to every printer that matter most: speed and the quality of the print. Given the size and portability of the HP Sprocket, I must say that it excels in both departments. In terms of speed, I have been quite impressed with the little device. Once the Sprocket has been paired to a compatible device via bluetooth, it is quick to start. Even better, it only takes around 30 – 40 seconds for the printer to receive an image and for it to be completely printed. In short, it takes less than a minute to turn on the device and for a photo to be printed. It is actually faster than the development time of Instax film, which can take a few minutes to adequately develop. The speed here is definitely impressive, and should make printing “on-the-go” quite feasible. The speed of a printer aside, everyone knows that a printer is only as good as the quality of its print. Given the size and portability of the HP Sprocket, as well as the durability of the ZINK SmartSheets, I can confidently say that this little printer performs very well. It is not perfect, but it most certainly does the job – often better than expected. Since the ZINK technology uses heat to generate the photographs, there can be variations in the colour of the images printed. More often than not, the colour of the photo displayed on my iPhone differs to the eventual print; resulting in a printed photo that is slightly warmer or cooler in tone than the original image (all dependant on the colours being printed). I did also notice some odd striations, every now and again, on printed photographs. It would appear that the ZINK technology may have a few small issues with colour saturation, at least at this small scale. Thankfully, these are only minor issues and the overall detail and colour of the printed photographs are consistently good. In terms of detail, the HP Sprocket has a print resolution of 313 x 400 dots per inch (dpi). Although this is not very high, it is well suited to the 5 x 7.6 cm size of the ZINK SmartSheets. Printed photographs are clear, colourful and look great. Granted, there is a slight and noticeable loss in detail in printed images, but given the size and portability of the printer and photographs, this is, in my opinion, a non-issue. In fact, I compared photographs taken with a Fujifilm Instax camera to those printed out via the HP Sprocket. The clarity of the images were quite close between both platforms, with better colour reproduction on the prints from the HP Sprocket. Although small, the battery life of the HP Sprocket is excellent. In the two weeks since purchasing the unit, I have only charged it once. In that time, I have printed close to 40 photographs. Despite this, the HP Sprocket still has enough charge left over to continue printing (roughly 15% battery remaining). This means that the device would be fantastic to travel with, and definitely lives up to its portable nature. I must also mention that the device can still be used even whilst plugged in and charging – great for when the battery does get depleted. In terms of charging times, the unit takes roughly 90 minutes for a full charge. One of the strongest elements of the HP Sprocket is the device’s accompanying software, which is intuitive, easy to use and functions very well. 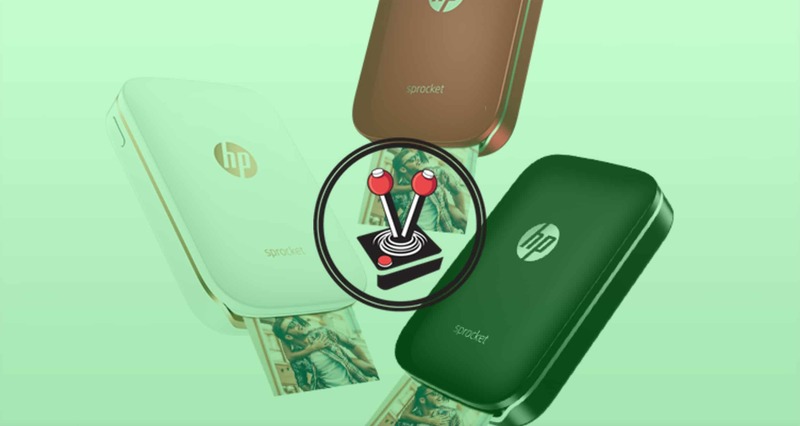 Unlike many other printer applications, the HP Sprocket App is quite full featured and makes using the device an absolute breeze. Once installed, the app allows you to print and edit photographs from your device’s camera roll. It also offers the option of linking to Facebook, Instagram and Google. This allows you to print pictures that you have already shared on social media or that you may have backed up to the cloud. In addition to that, the app also allows you to edit any of the photographs that you choose to print. Editing options include the basics, like resizing and colour correction. 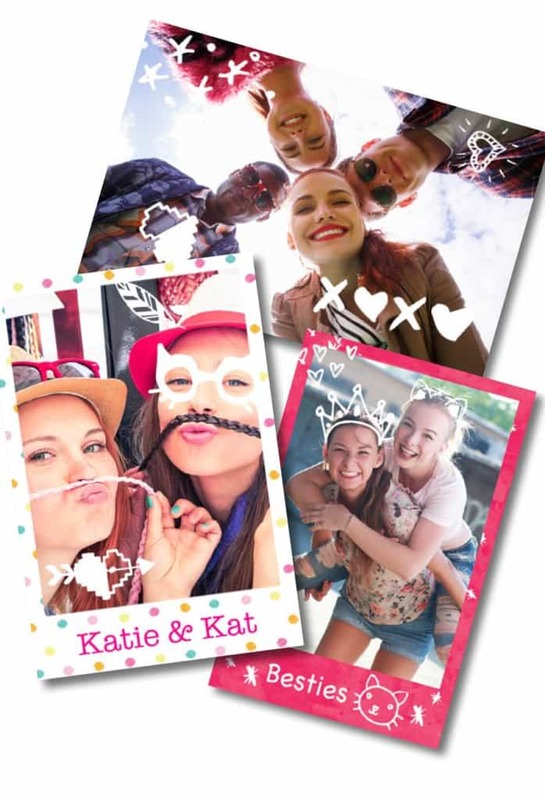 However, the app also includes the ability to add filters to your pictures (like Instagram) as well as edit them with digital stickers, written or typed text, or by adding unique backgrounds and banners (like SnapChat). The app even allows you to apply an “Instax” like border to your photographs – no doubt a little tongue-in-cheek nod to the popular novelty camera. The added ability to edit pictures in fun and interesting ways is easily one of the best features of the software and device. It essentially allows users to create almost anything, from simple keep sakes of memories to funky and cute stickers for all occasions. The choice is yours, and it is a novelty that is wonderful to have. The app also offers information on how to use the Sprocket via a digital manual and it quickly provides critical information, like the connected device’s battery level. Overall, the app’s interface is clean, easy to use and provides more functionality than is needed for the little printer. For those who are interested, the HP Sprocket App can be downloaded for free from both the Apple App Store and the Google Play Store. For the last few years, I have really enjoyed my Fujifilm Instax camera – there is something really special about instant film. Having said that, I have yearned for the ability to also capture the photos it takes in a digital format. Although I understand that it takes away from the novelty of the device, the fact is that I am the kind of person who enjoys cataloguing memories, moments and experiences. I have also defaulted to using my mobile phone as my default camera for almost all occasions. It is one of the reasons why my Mac OS Photo library has well over 110 000 photographs backed up to the cloud, with memories spanning all the way from my first digital camera in 2001. I like knowing that my photographs are secure in the cloud (yes, I do have physical backups as well) and that I may call upon any of the captured memories at a moments notice. Thing is, being able to capture a moment and immediately have it available to share, in a physical way, never gets old. For such a small photo printer, the HP Sprocket really is a fun, exciting and extremely useful little device. Although it may have slight issues with colour consistency and resolution; I must say that these are negligible. Especially when you factor in the device’s incredible portability, speed, overall print quality and the outstanding durability of the ZINK SmartSheets. At first glance, the R1999/US $129.99/‎£99.00 asking price may seem high – especially when compared to something like the Fujifilm Instax Mini 8 camera (R1099/US $64.99/£69.99 ). With that said, the device’s size, performance, software and ability to merge digital photography with the tangible, all whilst on-the-go, put it in a league of its own. For myself, it was an absolute must buy. With the HP Sprocket, gone are the days of needing to choose between the convenience of digital photography and the novelty of tangible media. 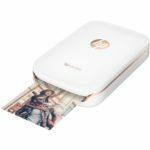 The HP Sprocket literally lets you ‘have your tangible media and store it digitally too’ [modern take on the “have your cake…” idiom].